​Catherine Boone is Professor of Comparative Politics at the London School of Economics and Political Science. She is a political scientist interested in patterns conducted research on industrial, commercial, and land tenure policies in West Africa. 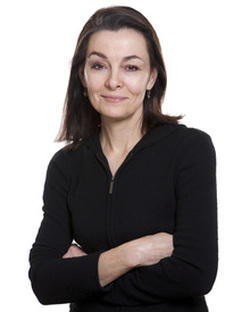 Her work is or has been funded by the ESRC of the Research Councils UK, LSE International Inequalities Institute, LSE STICERD, the SSRC, Fulbright, the World Bank, and the Harvard Academy for International and Area Studies, the ACLS, and the Long Chair in Democratic Studies at the University of Texas at Austin. She is author of Merchant Capital and the Roots of State Power in Senegal, 1930 -1985 (Cambridge, 1992), Political Topographies of the African State: Rural Authority and Institutional Choice (Cambridge, 2003), and Property and Political Order: Land Rights and the Structure of Politics in Africa (Cambridge, 2014), which is a study of variation in patterns of land-related conflict in subnational regions of East and West Africa. It won APSA's 2016 Luebbert Book Award for best book in Comparative Politics. She has served as member of the Board of Directors of the African Studies Association (ASA), 2009-2012, chair of the ASA Publications Committee, (2011-2012), member of the Executive Council of the American Political Science Association, member APSA's Comparative Politics Section executive council, and Chair of the Political Economy Organized Section of APSA (2014-2016). She currently serves as co-chair of the APSA-ASA Africa Initiative and member of the advisory board of the SSRC African Peacebuilding Network, member of the ad hoc Committee on Research Ethics of the American Political Science Association, board member of several journals and book series including the Cambridge Studies in Comparative Politics series and the CUP Elements series, and an Associate Editor of World Development. She is past Secretary of the African Politics Conference Group, and Treasurer and President of the West African Research Association (2005-8), which oversees the West African Research Center in Dakar, Senegal. She is on research sabbatical in 2018-2019 but continues to supervise her PhD students and to co-chair two faculty study groups in the London area. Click here for a 2018 CV. Here is a "The Prof. Talks" radio interview on land institutions and conflict.